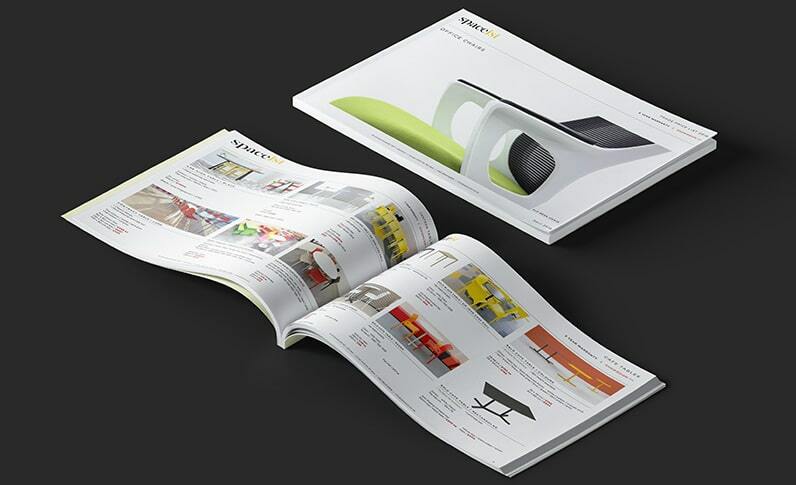 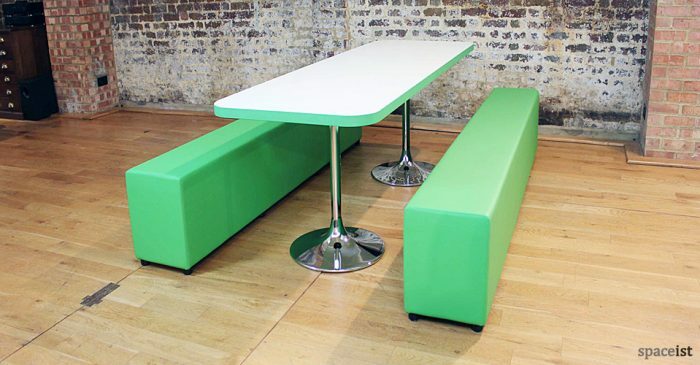 Canteen furniture needs to be easy to move, easy to clean and made to last. 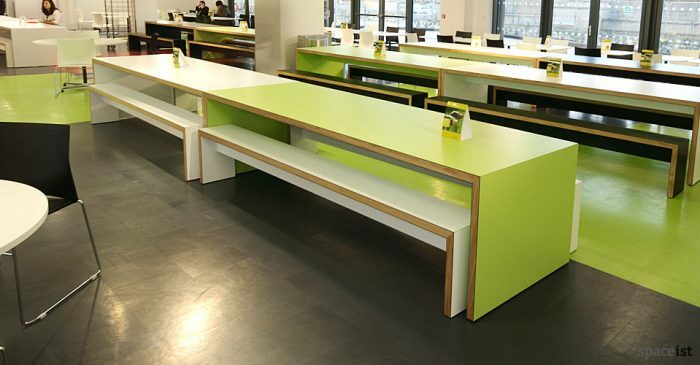 As with all furniture designed for high traffic areas, it’s crucial to choose the right designs to ensure the most efficient use of space. 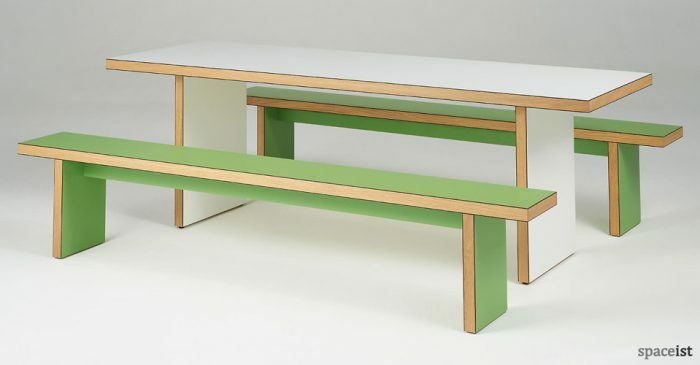 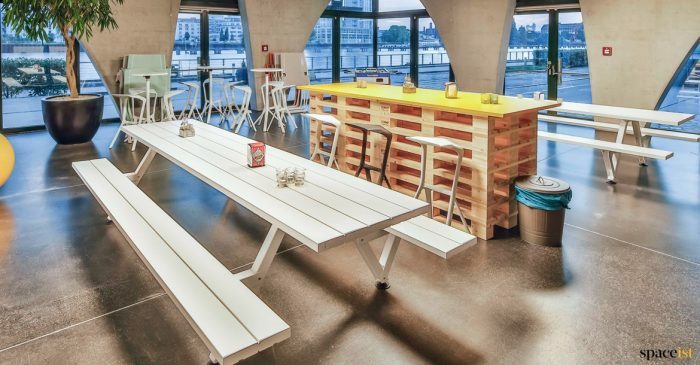 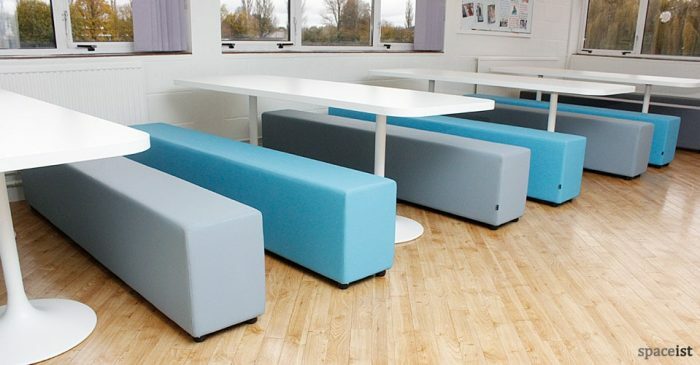 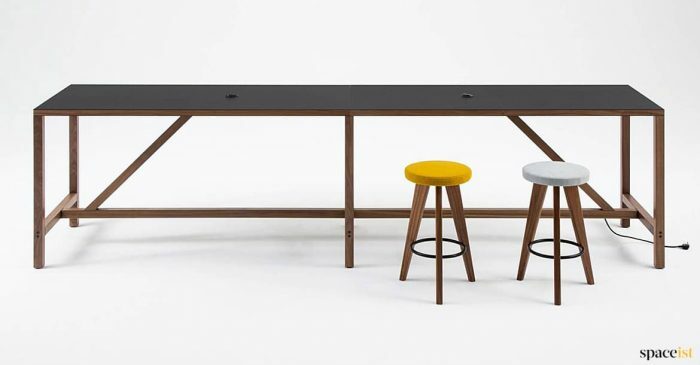 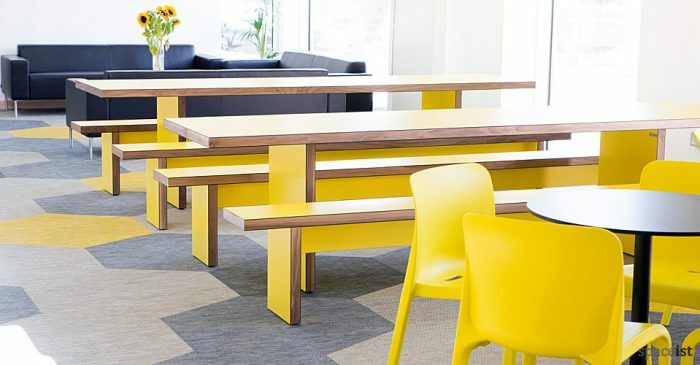 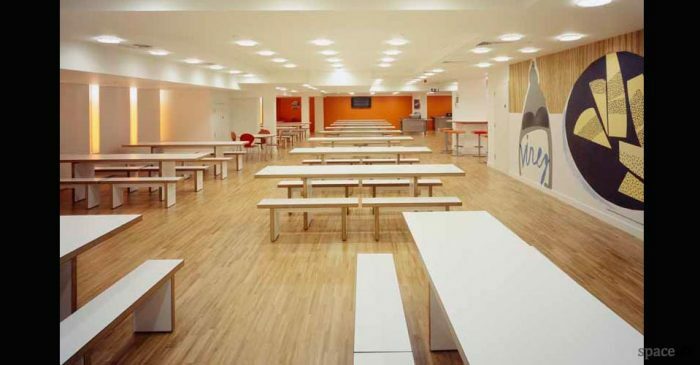 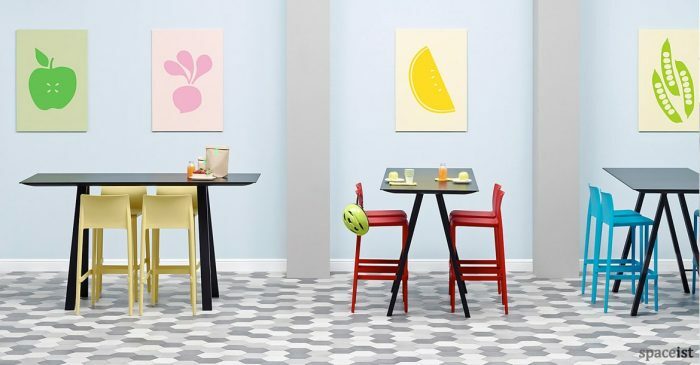 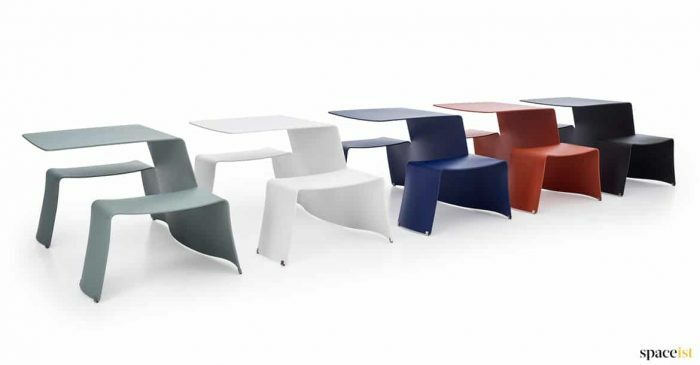 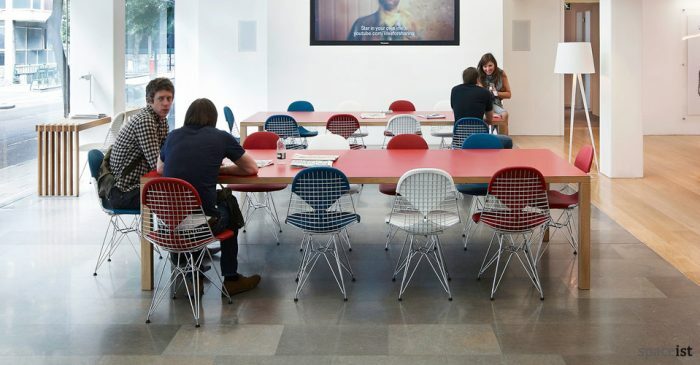 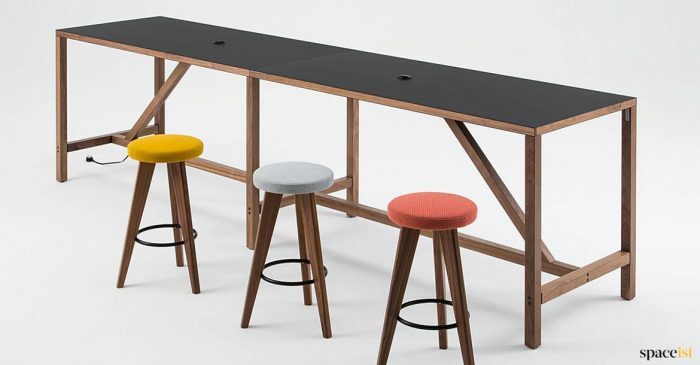 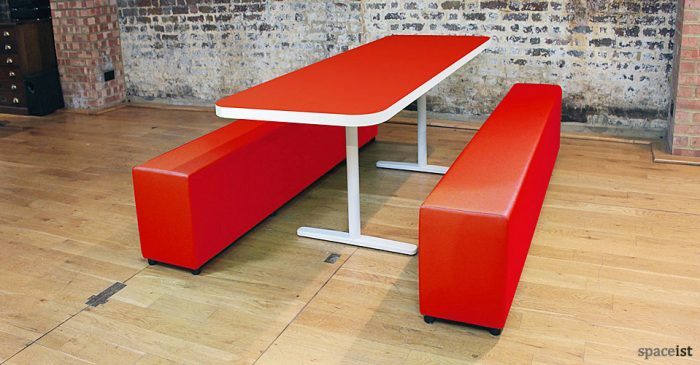 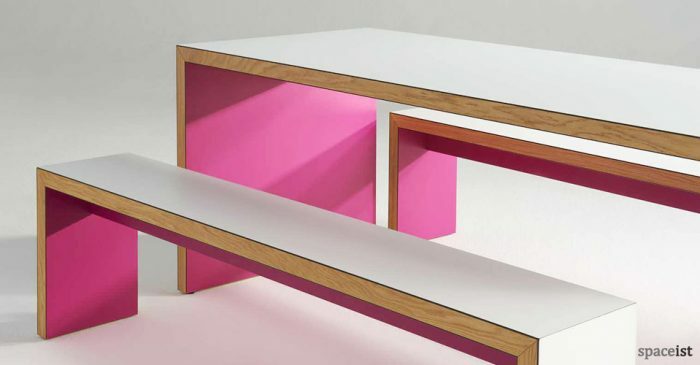 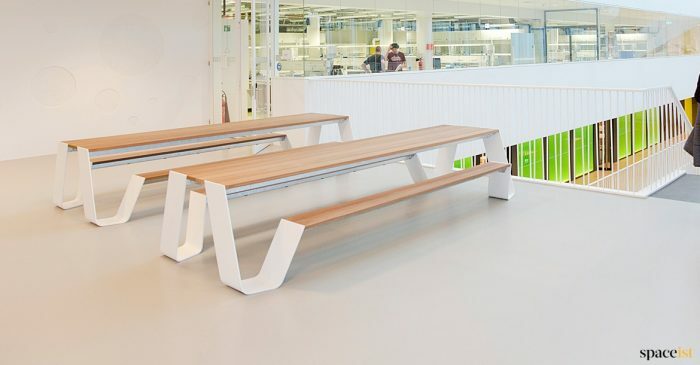 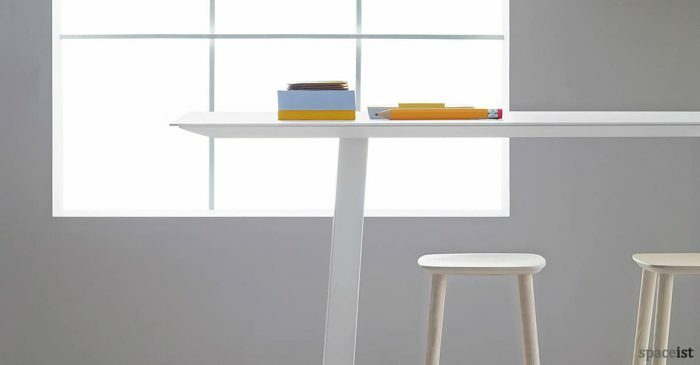 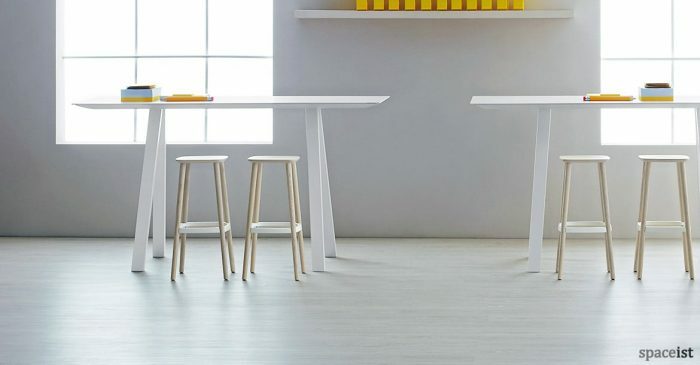 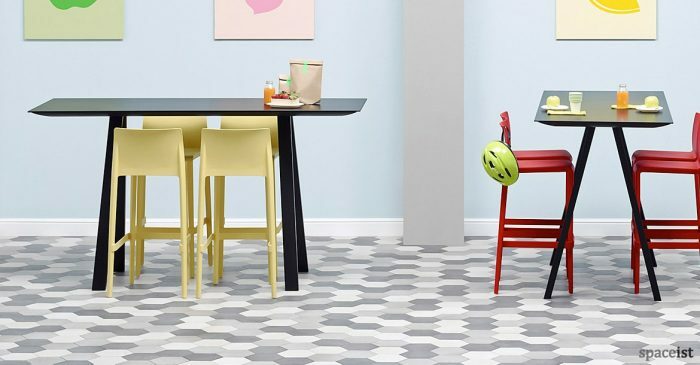 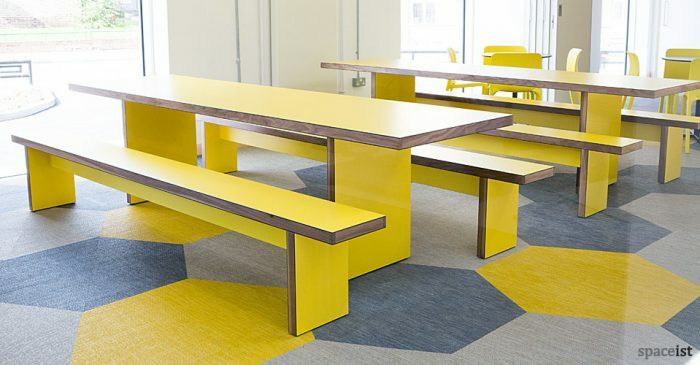 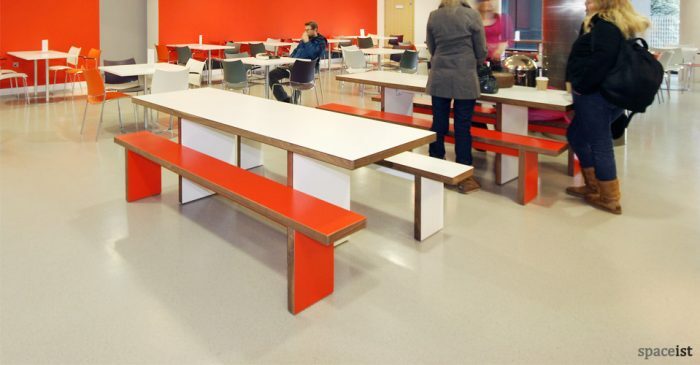 And with modern dining areas now doubling up as work, study or breakout spaces, canteen furniture needs to be robust, hard wearing and still look great. 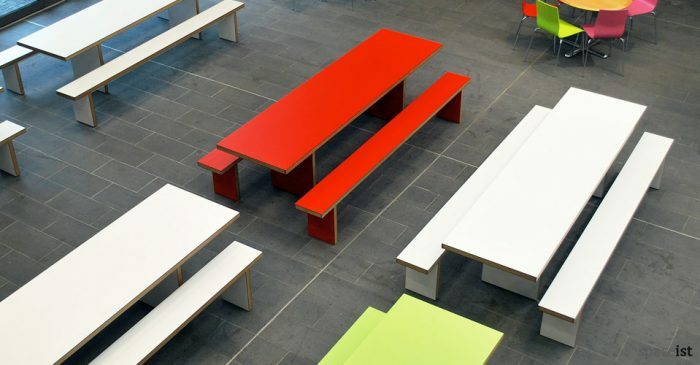 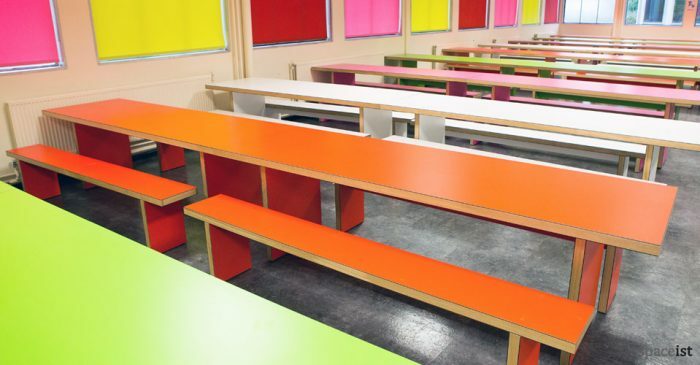 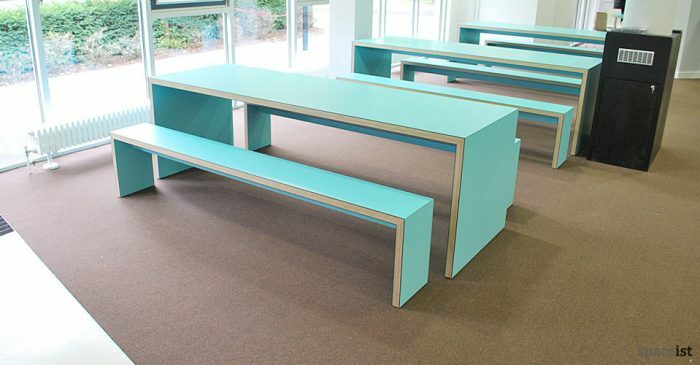 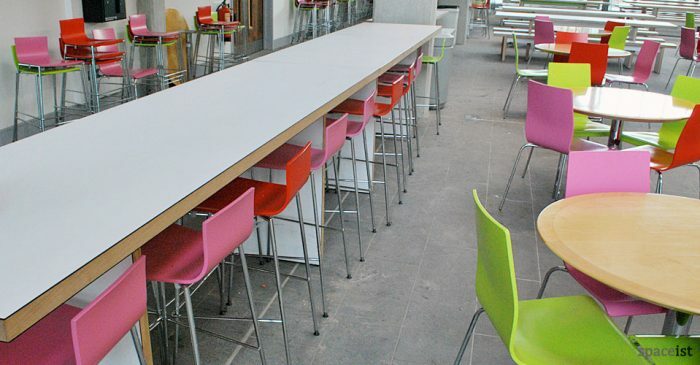 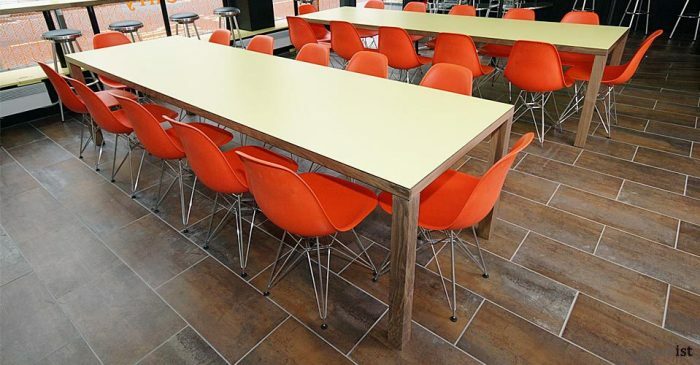 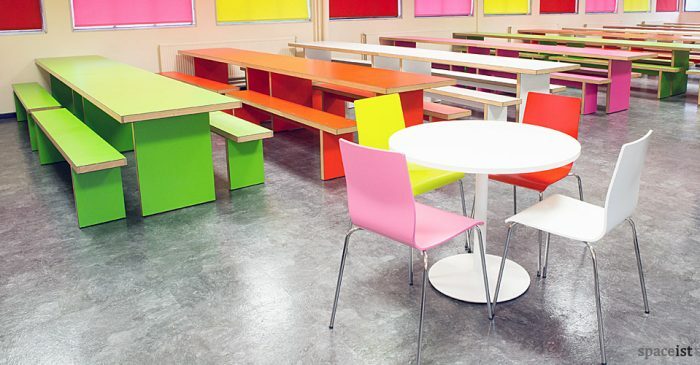 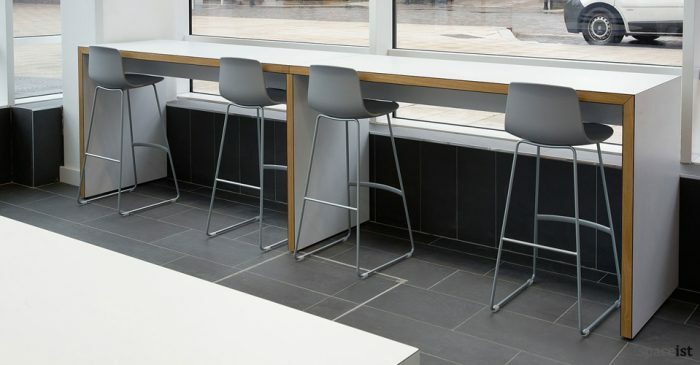 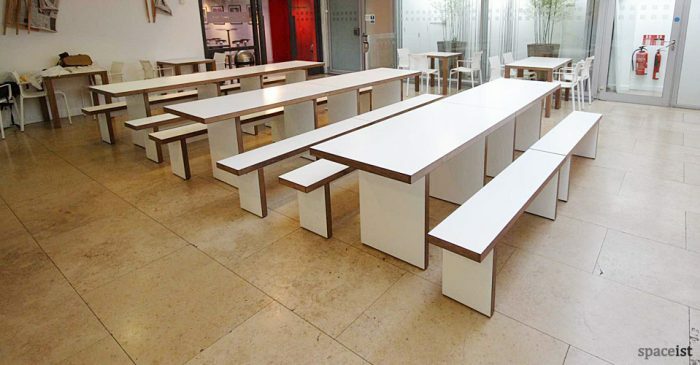 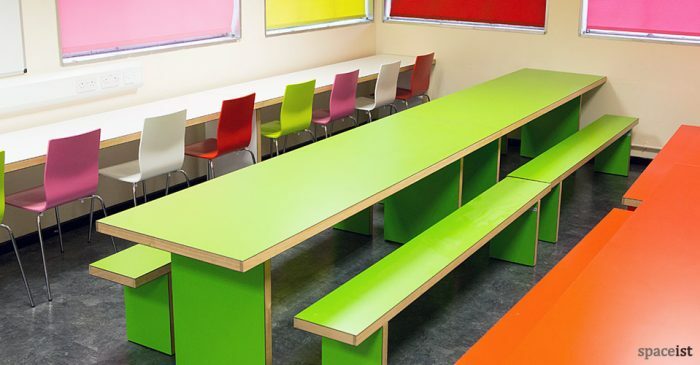 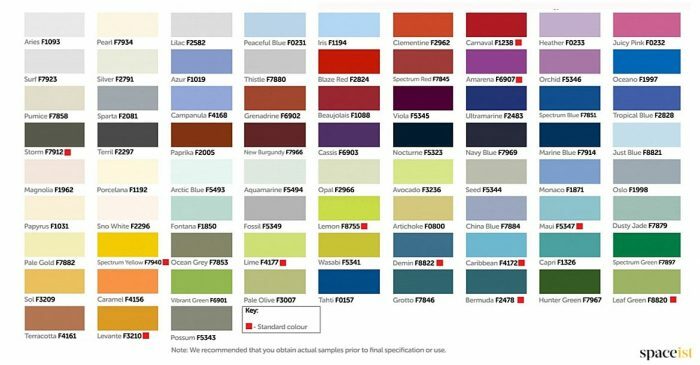 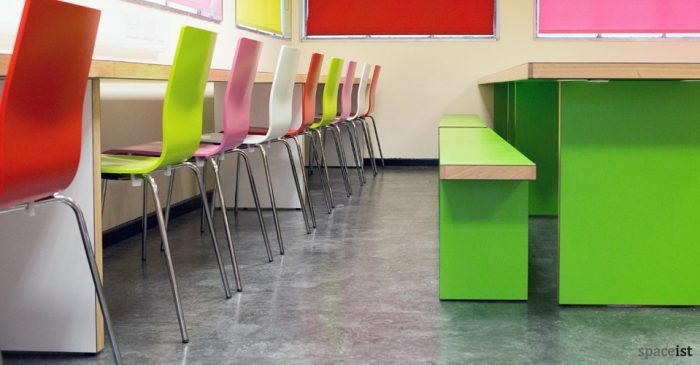 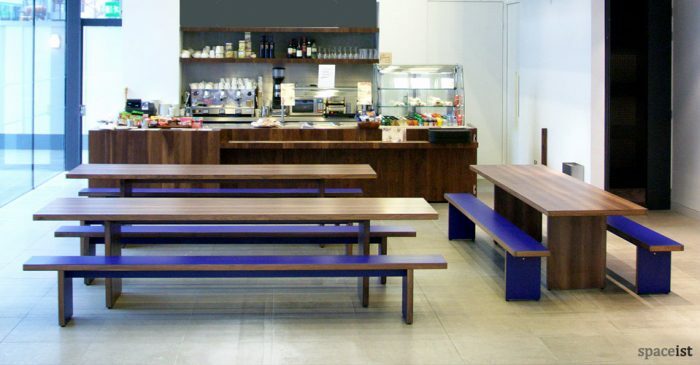 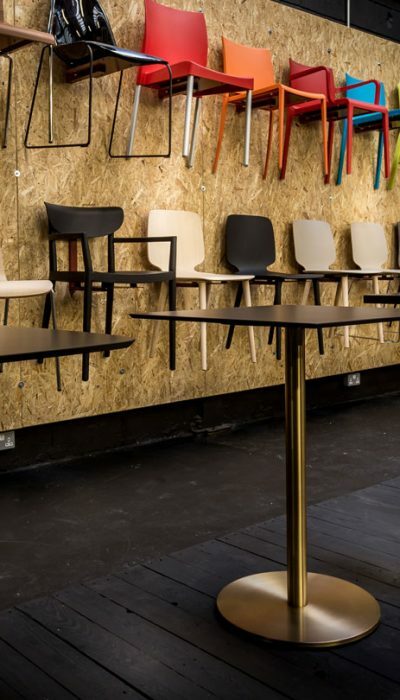 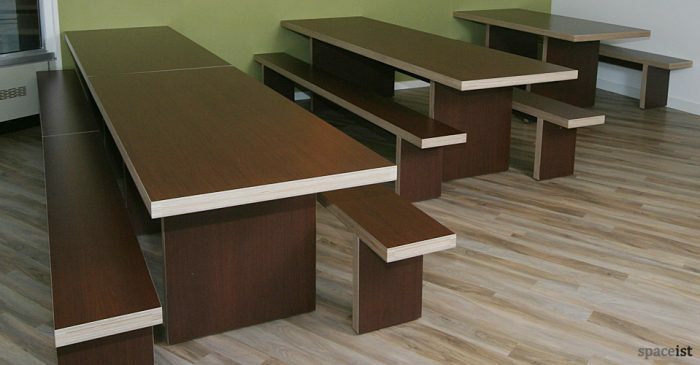 Our canteen furniture comes in as many varieties as your lunch menus, with flexible seating options including high tables and bar stools, dining chairs, canteen tables and benches seating up to 12 people, all available in hundreds of colour options and all covered by our 5 year warranty. 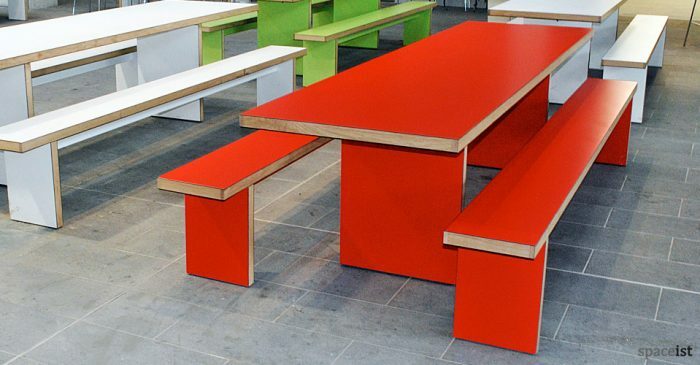 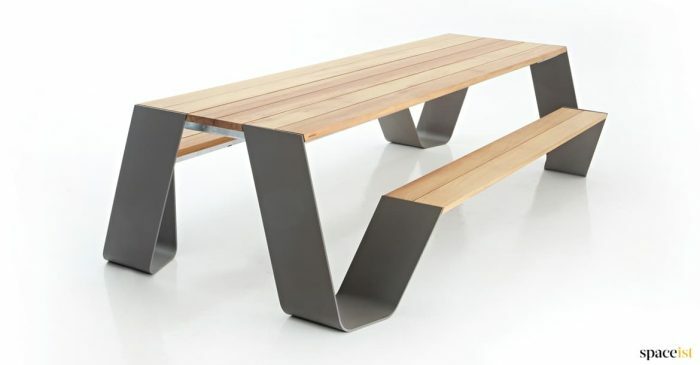 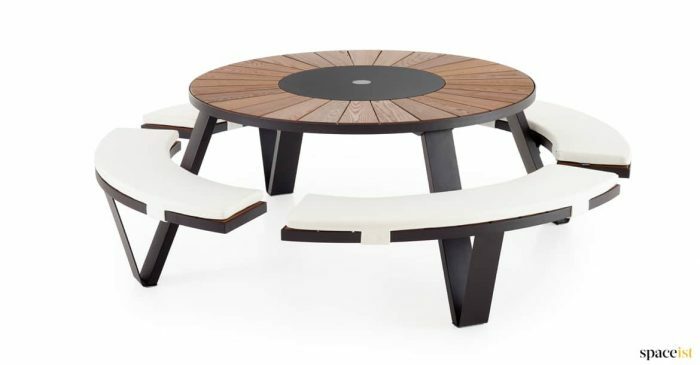 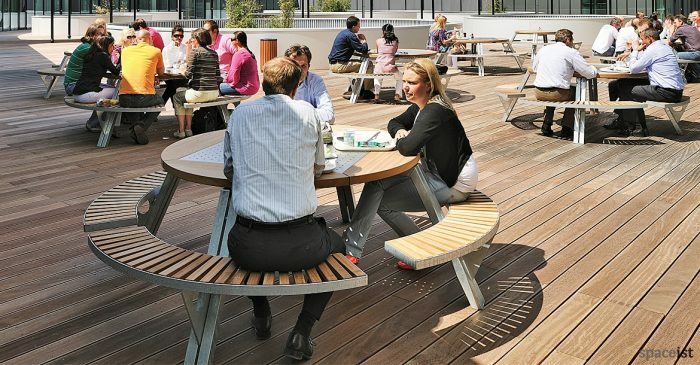 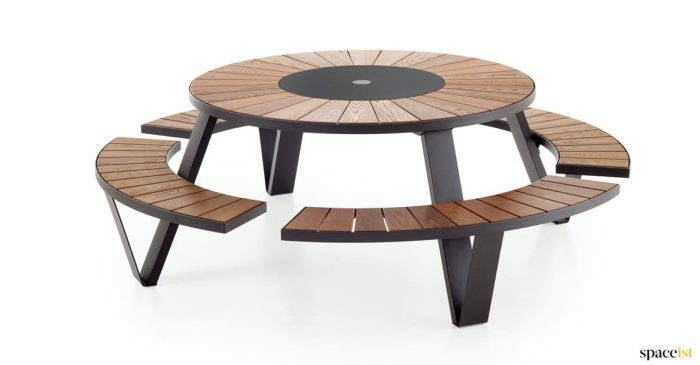 Don’t forget to make full use of your outdoor space too, with outdoor canteen tables and picnic style tables. 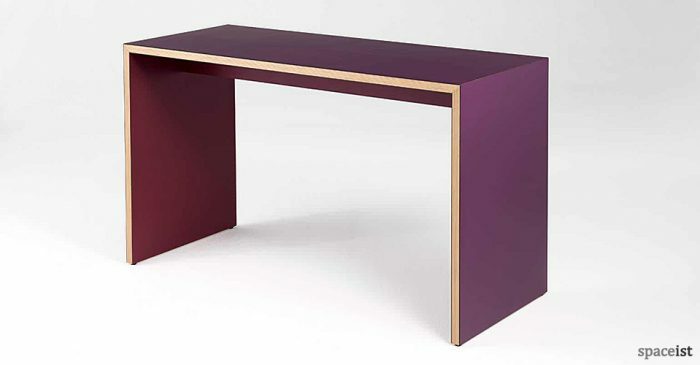 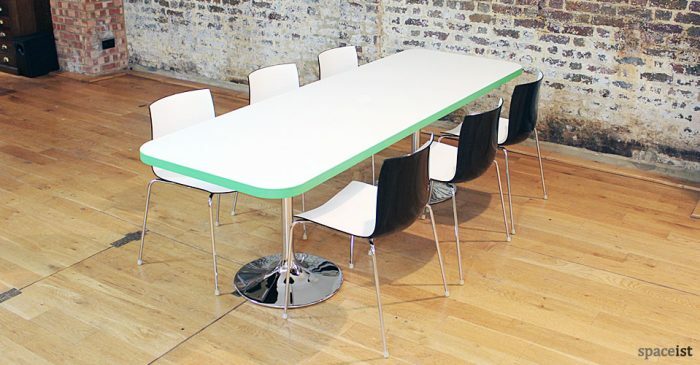 High canteen table made from solid wood with a very hard wearing Formica laminate top. 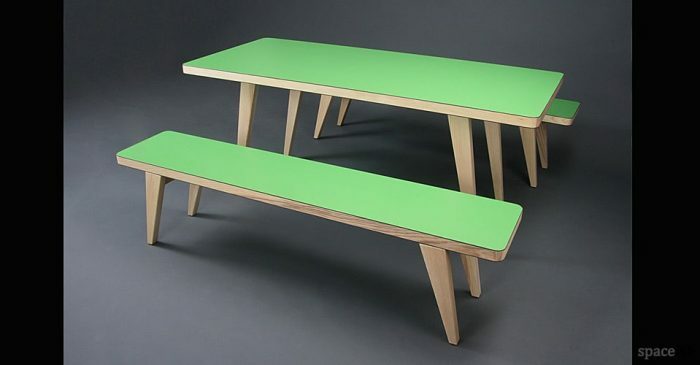 Woods options include beech, maple, oak & ash. 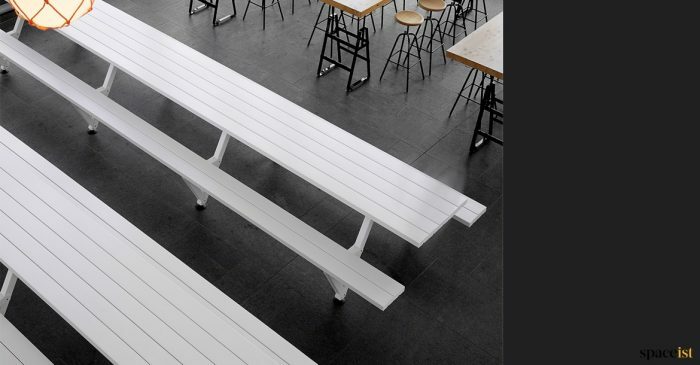 Can seat 4, 6 & 8+ people. 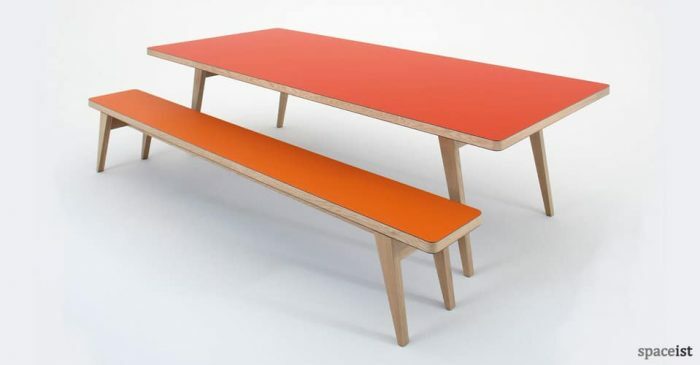 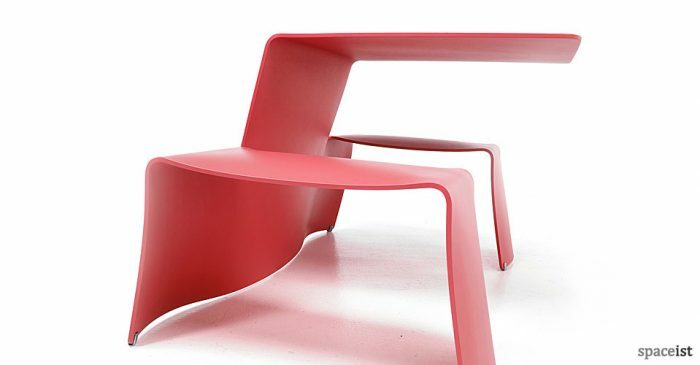 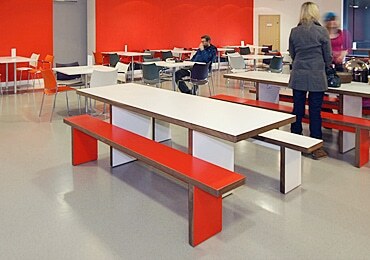 Red long canteen table & benches with a solid wood leg & edge. 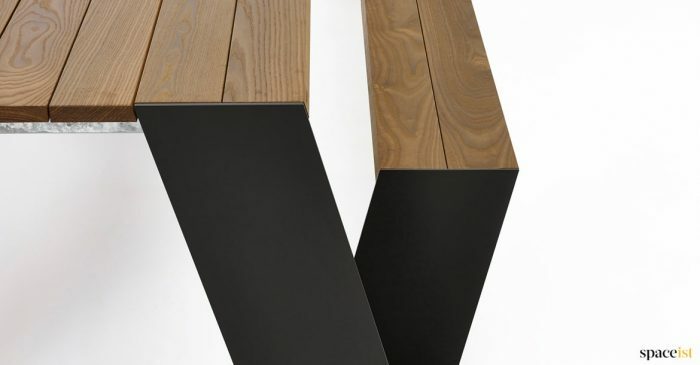 Wood edge comes in solid oak, walnut, ash, beech or maple. 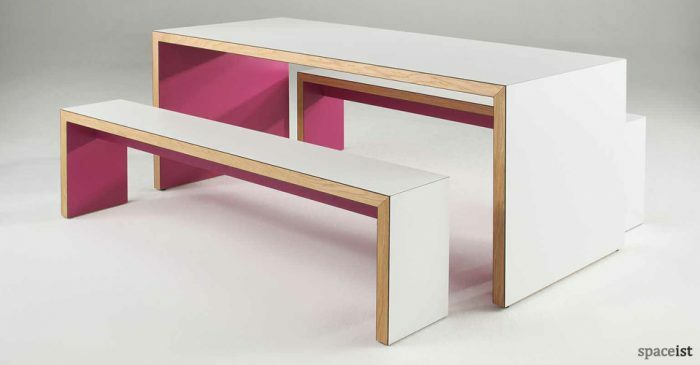 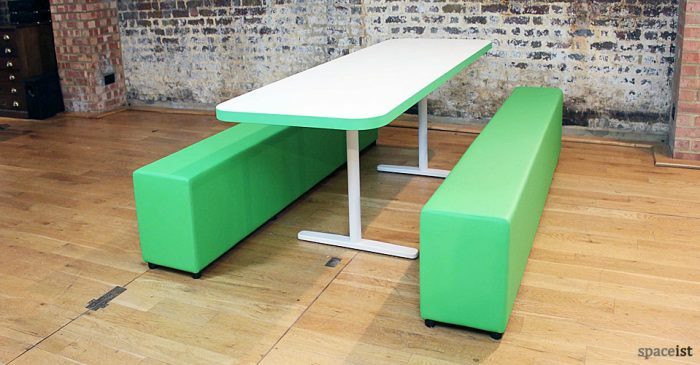 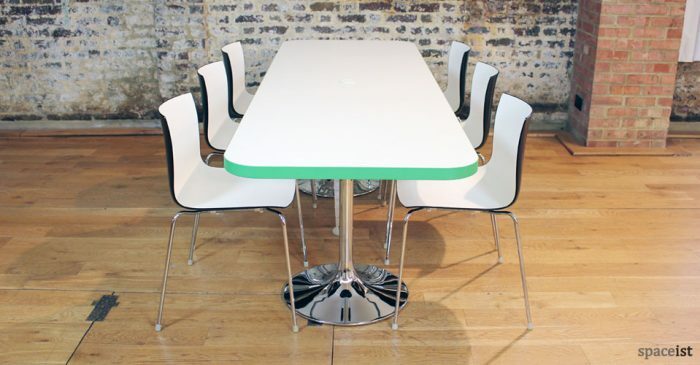 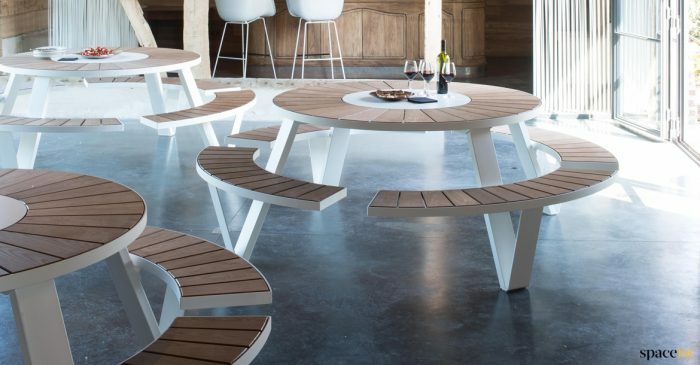 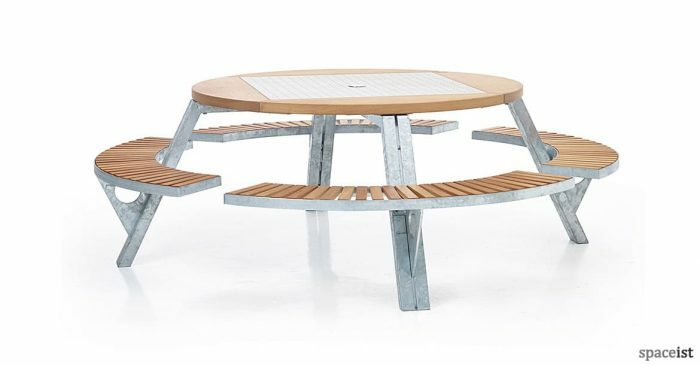 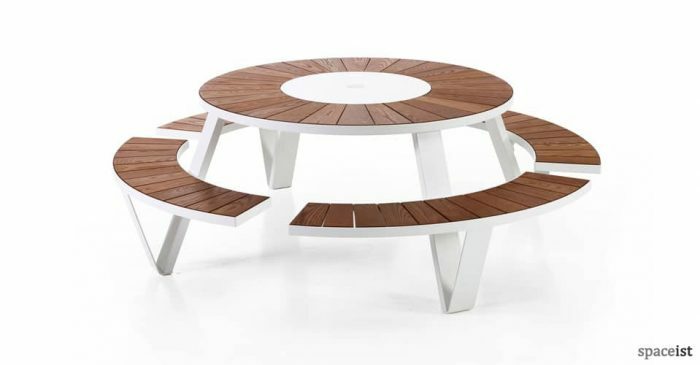 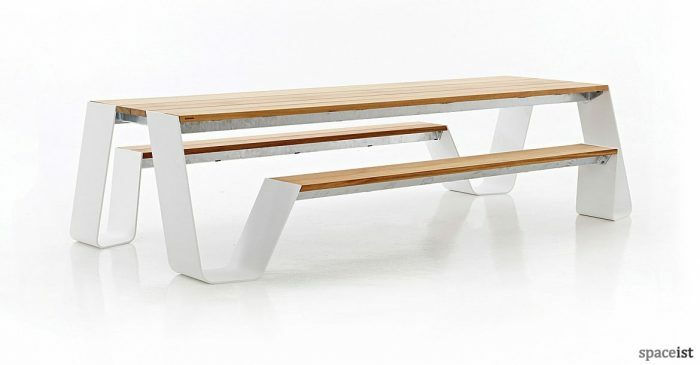 Picnic + canteen table in white extruded glass fibre and polyester. 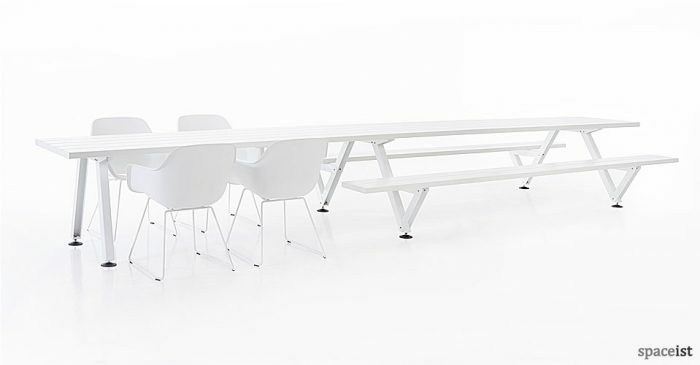 Standard colour is white.